Traditionally, Lorentzian geometry has been used as a necessary tool to understand general relativity, as well as to explore new genuine geometric behaviors, far from classical Riemannian techniques. Recent progress has attracted a renewed interest in this theory for many researchers: long-standing global open problems have been solved, outstanding Lorentzian spaces and groups have been classified, new applications to mathematical relativity and high energy physics have been found, and further connections with other geometries have been developed. 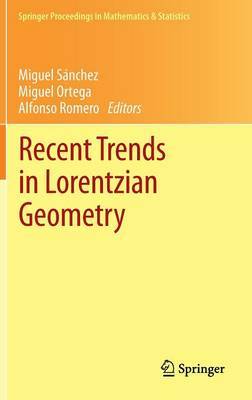 Samples of these fresh trends are presented in this volume, based on contributions from the VI International Meeting on Lorentzian Geometry, held at the University of Granada, Spain, in September, 2011. Topics such as geodesics, maximal, trapped and constant mean curvature submanifolds, classifications of manifolds with relevant symmetries, relations between Lorentzian and Finslerian geometries, and applications to mathematical physics are included. This book will be suitable for a broad audience of differential geometers, mathematical physicists and relativists, and researchers in the field.